The client's stunning mounting has a new addition; a beautiful radiant cut diamond. Classic and timeless. 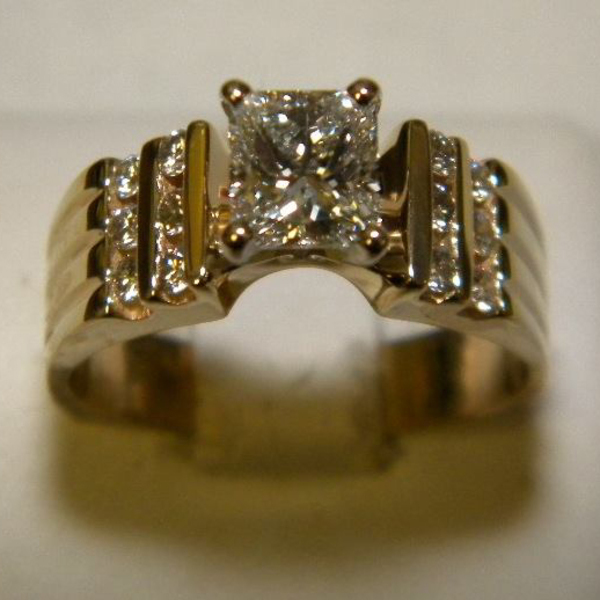 Let our Custom Design Gallery be your inspiration to update your unworn, broken, and outdated jewelry. Our friendly, trained staff is here to help you transform your bling into something that will be treasured for generations to come.